The Society is run by a team of enthusiastic, dedicated volunteers, who generously provide their time, energy and skills to ensure that the Society continues to flourish. If you would like to help, we have a range of volunteering opportunities which may be of interest. We are currently looking for a new Treasurer to look after the Society’s finances and prepare the Trustees’ Report and Financial Statements. This crucial role helps ensure the Society’s sustainability and plays an important role in its governance. If you have experience of being a Trustee, are a Trollope enthusiast and qualified accountant, we would love to hear from you. If you have a press and PR background, we’d love to hear from you. 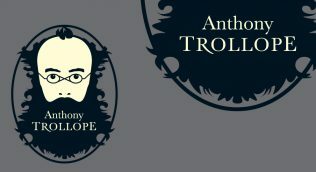 We’re looking for an experienced PR professional, with knowledge of the literary press to help us promote the activities of the society, create press stories and keep Anthony Trollope in the public eye. We’re looking for help with our membership strategy, if you have experience of growing membership in an organisation and would like to use your skills and experience to help the Trollope Society reach new members, we’d love to hear from you. We have a growing social media presence on Facebook and Twitter, and are looking for volunteers to help us extend our channels’ reach, and establish new channels. If you’re a social media enthusiast, we’d like you to join our Social Media Volunteers Group and help us to grow our presence. We run online book readings and quizzes and welcome new ideas to improve engagement. We’re looking for content creators, writers and bloggers interested in contributing to our website. If you’re an experienced WordPress user and would like to help us develop and improve our site, we’d love to hear from you. We have a network of established Seminar Groups in England and Scotland. We’d love to start more, both in the UK and internationally. If you have the enthusiasm to set up and run a local group, we can support you and invite local members to join your group. If you have other skills, and time to devote to the Society, we’d like to hear from you too.